Yes, the great thing about the Miata electric car kit is that, unlike other kits where there is a lot of assembly and fabrication and whatnot, this one just needs to be installed and connected. That's it. All the wiring is complete and in a box. So this is an electric car kit in a box that fits a Miata. The Miata doesn't come with it. Still, it sounds like it almost installs itself, if you leave it alone with a toolbox and an arc welder overnight. Maybe a tiny exaggeration. It's pretty easy, though. The electric motor simply bolts in, and the batteries are assembled in blocks that you just plug together. It goes together in a weekend or so, I heard? That's amazing. Yeah. This electric car kit is a little more expensive because we do all the ugly stuff for you, but it means you can do it over a couple of weekends at home, that's right, or a few days in a shop. 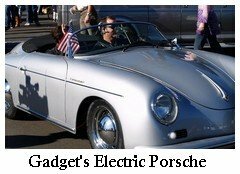 The average home electric car conversion takes about one year! Nobody tells you that part, do they? What batteries are you using in your conversions now? 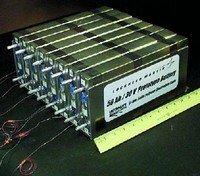 I'm using lithium polymer cells...for now. They have good energy density, but not the most power. However they are about 25% of the high performance cells and easier to use. The cars aren't slow, but they are not muscle cars. Good enough for a commuter car, though. The power is perfectly adequate for a commuter car. Compared to, say, the Tesla, how complicated is this battery system? Mine's got fewer cells, definitely. If a car uses 75 to 100 cells, it's easy to find a problem, but if the car requires thousands of cells (like the Tesla does) it could be a tough problem to find. 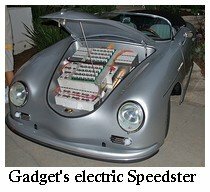 You've got your own battery management system? 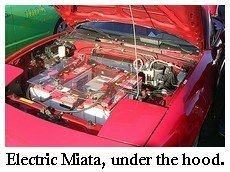 What system voltage for one of your little Miata conversions? AC or DC? The Miata is at about 360 volts, AC with regenerative braking. Lovely! So what kind of range can I expect with that system? Easily a hundred miles on a charge. More than that if you drive like a girl. Um, not this girl, sorry. Two lead feet. Anyway. Where do you put the battery boxes in a Miata? Not a real roomy vehicle. And finally, I hear rumors about a new lithium battery you're working on? There is a new type of cell I'm trying to get the rights to. it's a large format cell that is low resistance and rebuildable. And almost 100% recyclable. Imagine a set of cells that would last 40 to 50 years! 40 to 50 years? That sounds incredible. 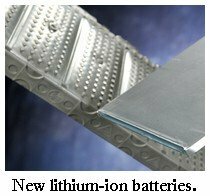 I believe I'm about to see the light where lithium EV batteries are concerned, stay tuned. Thank you, Gadget!